For my first card (shown above) I used the Sealed with Fish set that has cute under sea creatures like an octopus, sea turtle, crab, fish, jelly fish and this cute squid. There are lots of fun phrases included in this set that go perfectly with the critters. 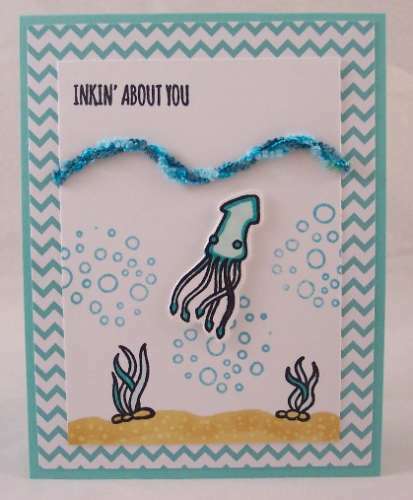 For my card I stamped my ocean scene and colored it with markers, adding bubbles to the background and die cutting my squid using the matching die set. 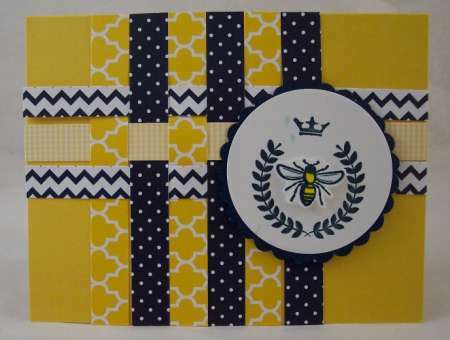 I used ribbon for the ocean waves and layered it on some of the Chevron cardstock. For my next card I used the sweet Nine Loves set, stamping my kitties and coloring them with markers to give them different patterns, I also used the matching die set to cut them out. I cut apart some of the word from the set to put under each cat. 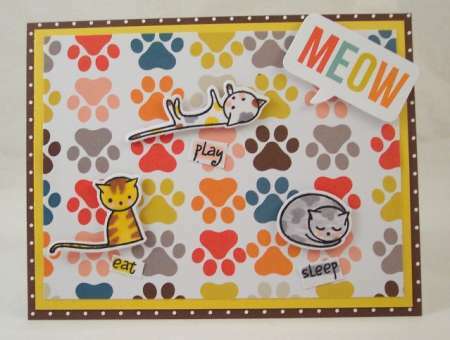 I layered everything onto one of the Cat Snap Cards adding a die cut piece from the Cat Squares and Pieces and used some Petite Polka Dot cardstock for the card base. I’m still not done playing with all the fun new A Muse Studio products so be sure to check back soon for more reviews and inspiration from me.